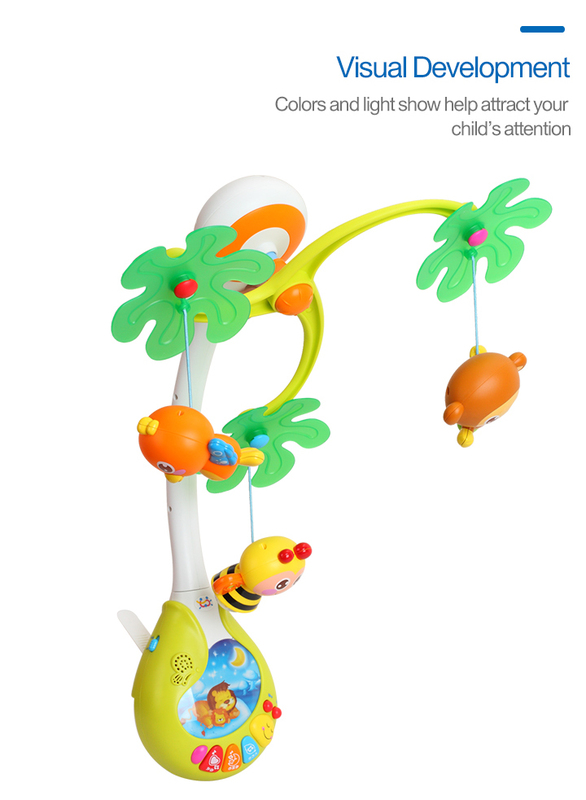 This toy is perfect for all babies because it comes with three different cute animals that rotate and one of them actually contains beads to make a fun rattling sound. 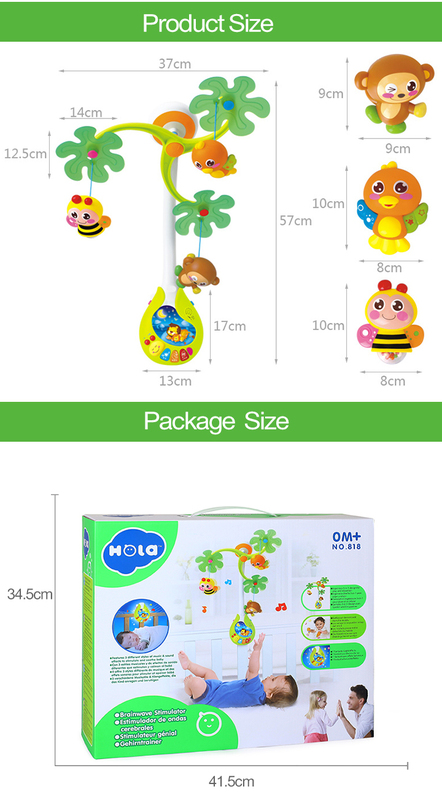 There is also a picture of a cute lion sleeping at the base of the mobile that can be used as a night light to sooth the child. 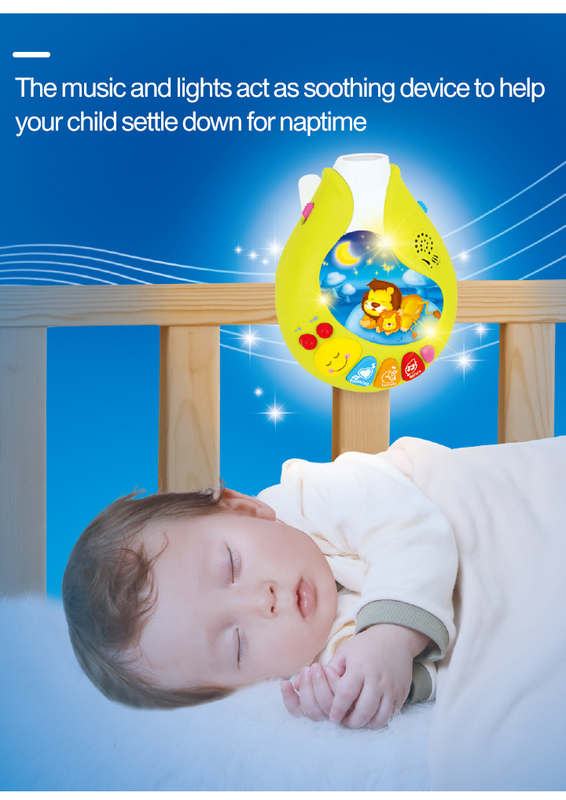 This light slowly fades into 7 different colors providing a calming atmosphere for the baby. 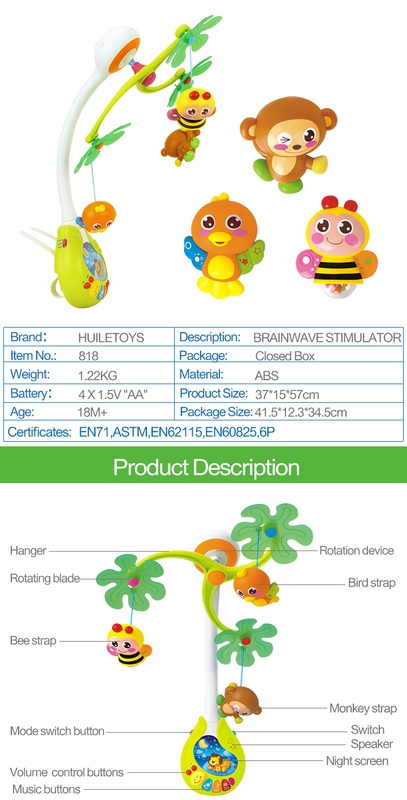 Along with the soothing light, there are 3 different types of music it can play: soothing, lullaby, and nature sounds. There also are 3 different settings for the mobile meanwhile the music is on. 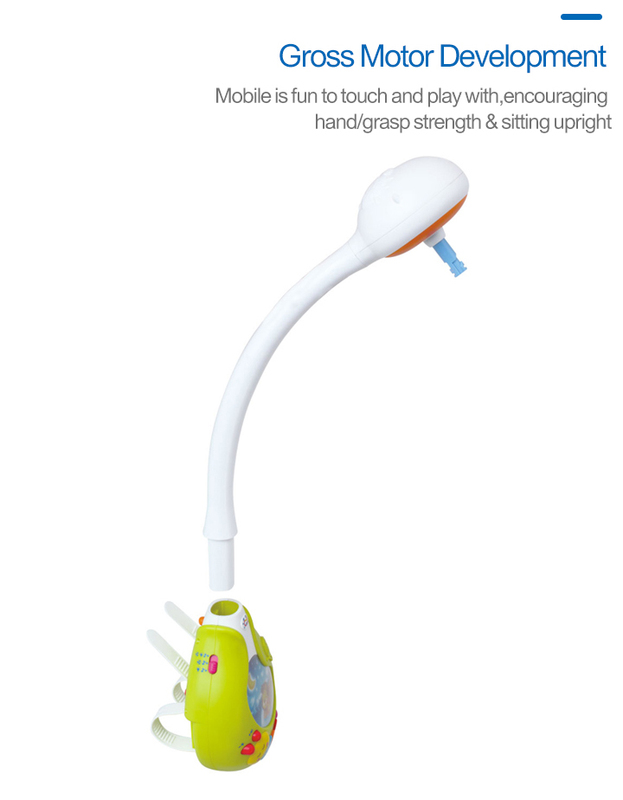 The first is music with the night light, then there is music with the night light off and the mobile rotating, and the third is the music with the night light on and the mobile rotating. 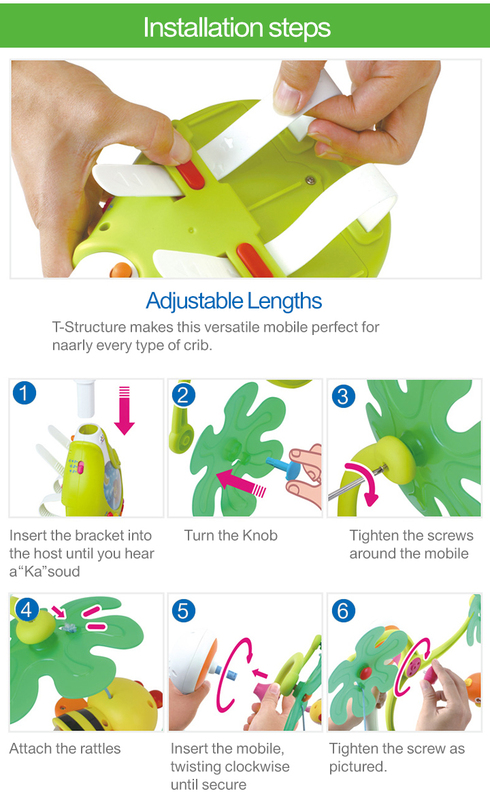 With this many options, the mobile will be entertaining your baby and also be relaxing him/her before bed.